Establishing the electrical wiring diagram early during the design phase of your home remodeling project will be most cost-effective for you. Think about how you will use your new addition or remodeled room. Picture where you want to have electrical outlets, switches, lighting, data /communication outlets, TV outlets, and make sure that information is shown on the electrical diagram. Do you want to control lights from multiple locations? If so, electrical wiring for switches becomes more complex and requires additional coordination during the design phase of your home remodeling project. Are you planning on adding any special sound systems to this general remodeling project? Installation of a built-in sound system, intercom, or even a full home theater requires coordination and design work up front to ensure that installation costs can be minimized. Is a cable television outlet desired? Do your planned electrical lighting systems run on 120v electricity or do you plan to use low voltage electrical lighting systems? All these thing have to be taken into account before the home remodeling project is started. 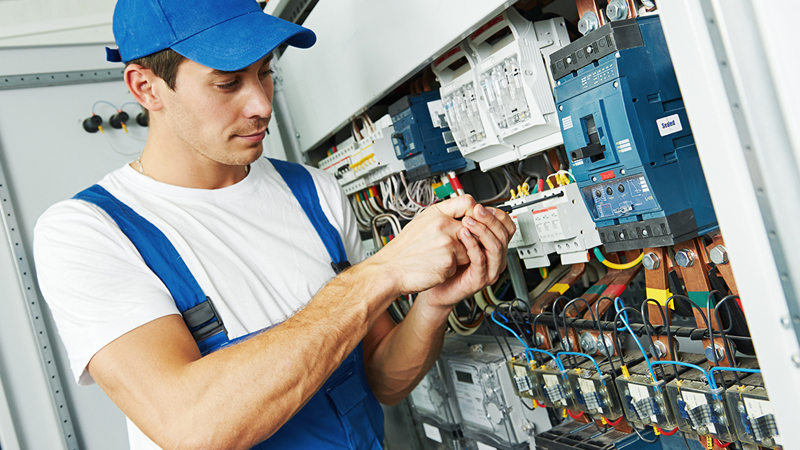 When you are looking for reliable and professional electrician for your home repair, upgrades and new installations in Los Angeles County or Orange County you can rely on the friendly and expert service you receive from Remodeling R Us. No home remodeling job is too big, need electrical services, rewiring or panel upgrades, we are the company for you. Give us a call today and let explore your home remodeling options. We are your Orange County and the city of Orange remodeling experts.